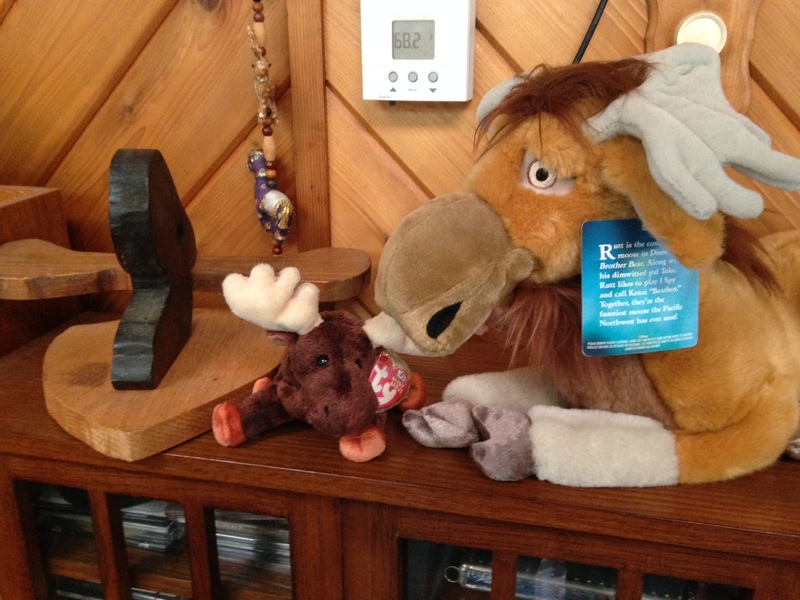 Early in July, my wife and I set out for a vacation to New Hampshire and Maine, part of which included plans to go on a moose expedition. 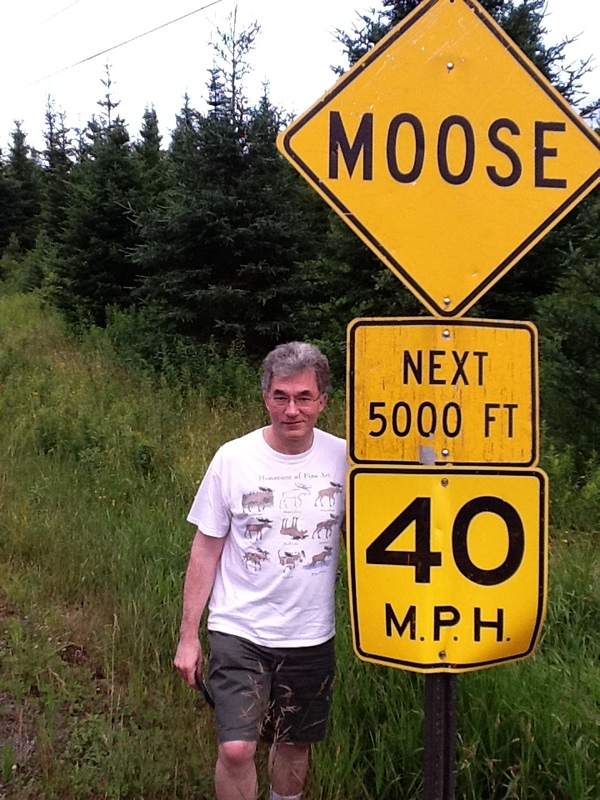 As you may recall, I have been on a 30-year odyssey to see a moose in the wild. 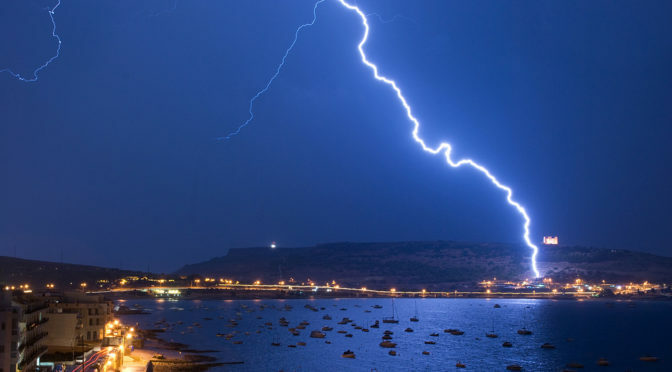 Three previous attempts – two with a wildlife biologist in New York and one with an outdoors guide in Maine – were fruitless. 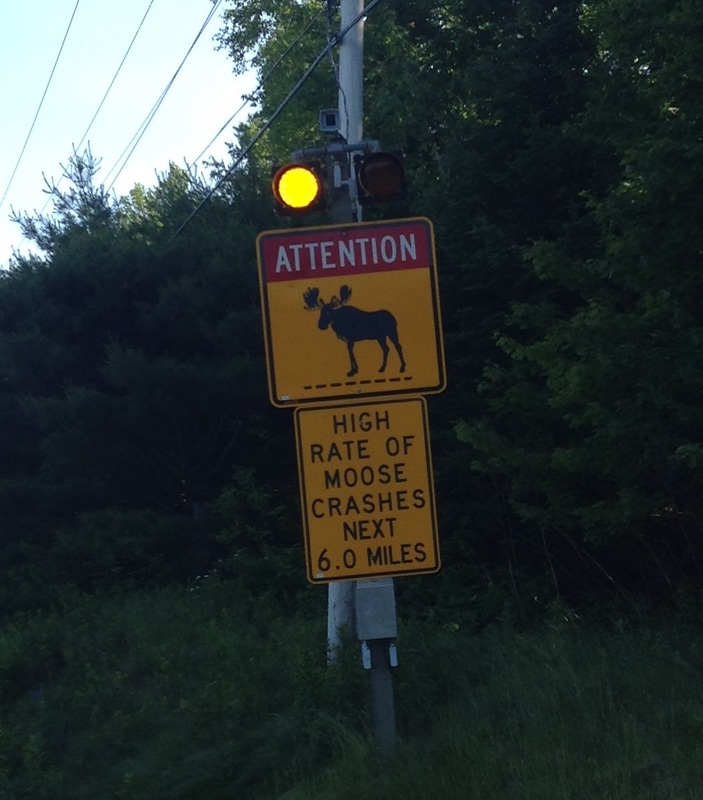 Ditto our impromptu efforts driving the highways and byways of places called “Moose Alley” and crisscrossing Vermont, Maine and New Hampshire. Seeing a bear on our way out of town at our local Dunkin’ Donuts in the Poconos struck me as a good omen. The bear was foraging for food in the parking lot dumpster and lingered for so long that a crowd gathered to shoot photos and videos. 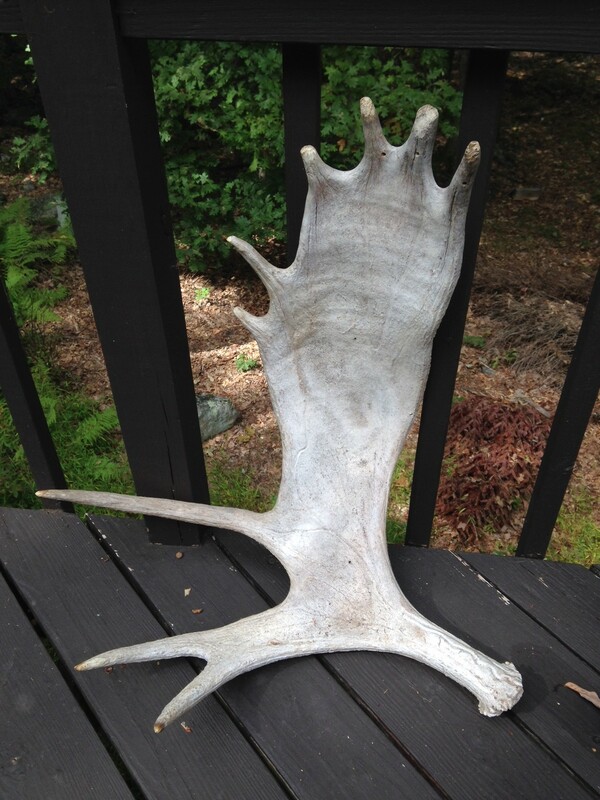 Surely, I thought, the wildlife gods were signaling me that my quest to see a moose would be successful. 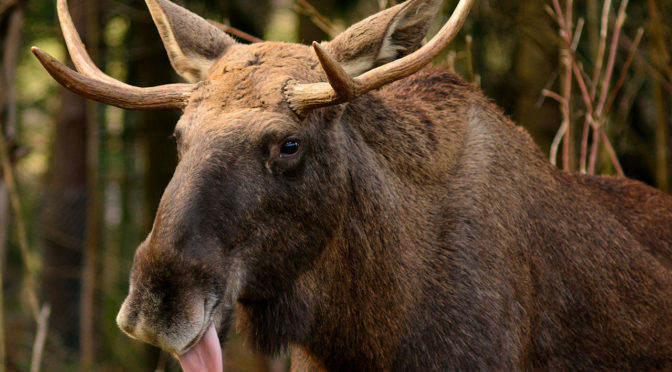 We trekked to Lincoln, N.H., for a night tour of the “wallows” – hot spots where moose gather near the roadside to forage for vegetation or lap up the sodium-rich road salt left over from winter. Our intrepid guides, Larry and Tony, boasted of a 97 percent moose sighting rate over 18 years. Plus, with their native New Hampshire accents (“wicked smaht”), I felt like we were in the hands of true moose whisperers. Granted, the night before, their excursion only saw two moose, but hell, that would be two more than I’ve seen in the wild. About 30 of us piled into a small but comfortable bus and we left at 9 p.m. for a three-hour tour. Our guides emphasized that moose are not animatronic characters who perform on command like the animals at Disney World attractions. 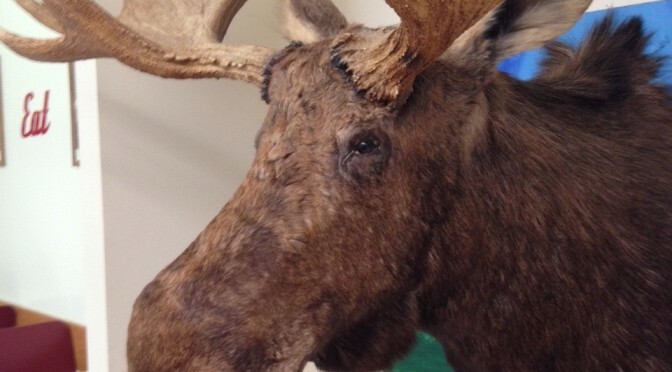 That said, they said they would work hard to find moose – and that they did. Using spotlights, our guides scanned the roadside places where moose were known to congregate. The vibe in the bus early in the trip was upbeat and jovial as they cracked hokey jokes. About 90 minutes into the trip, we stopped at a general store for a bathroom break and some sweet treats. No problem, they said. The night before they did not see one until after the break. But as the night wore on, and our stops became more frequent and less fruitful, the mood grew more quiet and less cheery. Thankfully we were sitting on the right side of the bus to catch a glimpse of the face of a young moose cow. But that was it – a glimpse – after three and a half hours. It is hardly what I would consider a full-fledged moose sighting but it did technically break my 30-year drought. Still, it was a bit like being promised a hamburger from Shake Shack and getting one from White Castle instead.